This stunning two bedroom terrace apartment set within an exclusive development offers spacious accommodation briefly comprising: Generous open plan living area with large bi-fold patio doors leading to private enclosed stone terrace. The kitchen features a range of contemporary units with integrated appliances to include stainless steel oven, induction hob, steam oven, microwave, washing machine, dishwasher & large fridge freezer. The generously proportioned master bedroom also features large bi-fold doors with en-suite bathroom to include spa bath, separate thermostatic shower and tv. There is a second bedroom which is also a good sized double. The house bathroom includes modern white suite with shower. Additional property benefits include double glazing, air conditioning/heating, intercom security, maintained gardens and private secure car park. 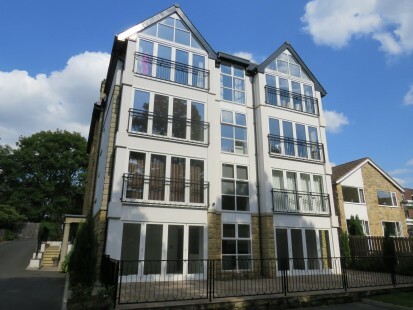 Ideally situated near shops, amenities & Roundhay Park - EPC rating C.